Hello everyone! I hope you are all well and that you all had a good start of the week. Like most of us - skincare obsessed, I became aware of the importance of skincare when I started having severe acne as a teenager. I was on and off my dermatologist's cabinet too often. I went through so many different treatments, but that is another story! That is exactly when I realized how important it is to cleanse my face. I have tried so many products in more than a decade and cleansers are either a pass or a holy grail. For your information, I have a sensitive and very reactive skin, so it has always been very easy for me to know if a cleanser was good or not. Just so you know, all the products I am going to mention, I have used them on very long periods of time - definitely more than six months and for some of them, a couple of years. My list is not a ranking, they are all number ones! 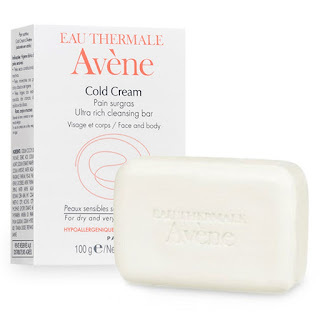 The fact that it is a cleansing bar always made me trust its cleansing properties more compared to whatever drug store cleansing gels. When I started using this cleanser, my skin was very very dry because of the acne medication I was taking back in the days. The gel cleanser I was using before used to strip my skin of the rare oils it still had. So the itchiness was real! It actually felt more like constant burn! This cleanser literally saved my skin. I used it every morning and night. I also used it every time my skin was suffering from the dryness during the day. It instantly brought a calming and soothing effect. I cannot explain how good this cleanser is and how much it took care of my skin when I most needed it. I highly recommend it if your skin is going through hard times and you are in a "I am scared to use any product in case it makes it worse"-phase. Trust this one! It can be found in pharmacies or get in online. 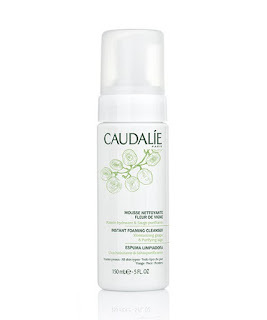 More recently, actually for the last couple of years, I have been using this beautifully scented, gentle and very efficient cleanser from Caudalie. I was browsing one day in one of my favourite pharmacy in Paris and for some reason, Caudalie's products caught my attention. I bought this cleanser amongst other skincare products of the same skincare line and, since then, I could not let myself use any other cleanser except this one. It was the first time I experienced a foaming cleanser. It is so soft! And it feels really good on the skin. I made my friends buy it and I bought it myself countless times. The cleansing experience with foam is completely different from the standard cleansing gel or bar. Foam brings it to another level. Besides the texture of the product, the quality is unquestionable. It left my skin smoothed, calmed and feeling extra fresh. I was lucky to be offered two full-size samples and that is how I discovered this amazing cleanser. It is a very gentle cleanser that does its job. The texture is cream-like and is very pleasant. The cleansing experience feels very luxurious. Like both cleansers mentioned above, it left my skin feeling smooth and fresh. 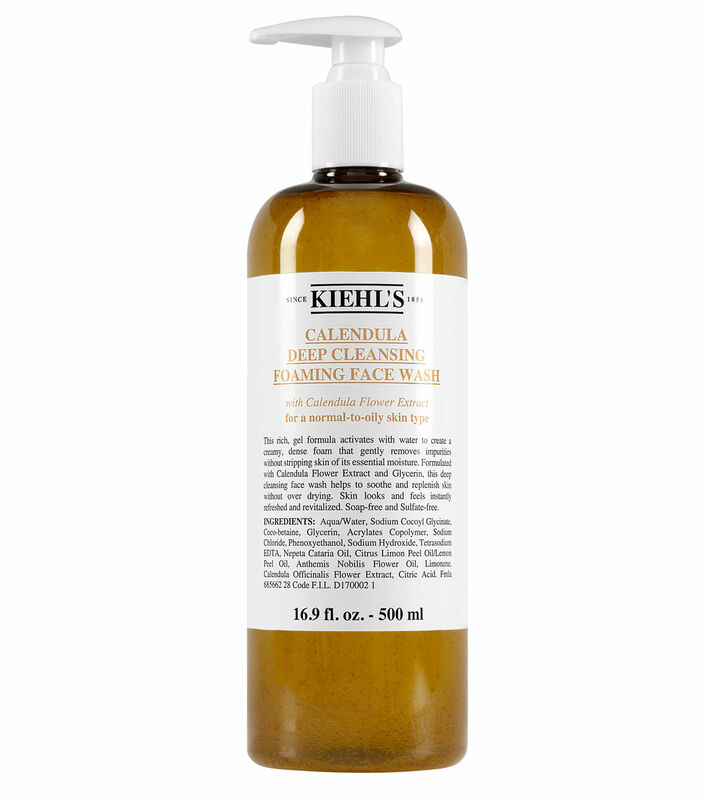 The difference is that this cleanser feels like a nourishing treatment. By that I mean, cleansing my face with this product felt like doing a 2-in-1 procedure: cleansing and nourishing. At that time I would have never guessed that it was the Alguronic Acid. 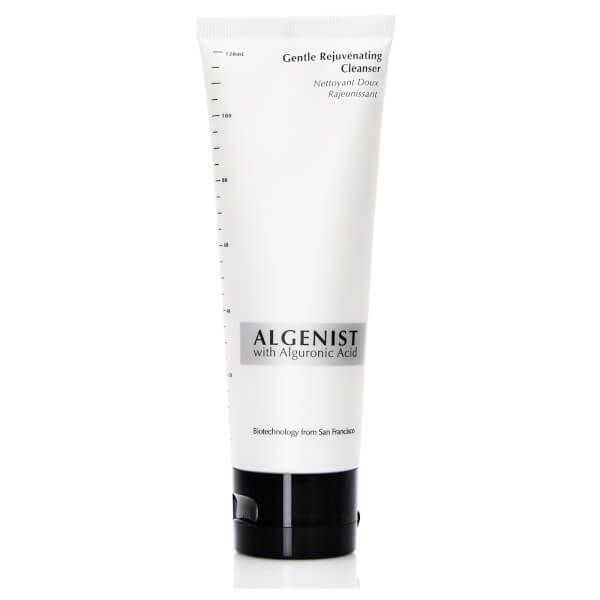 Now that I have grown and that I am looking a lot more into the components of the products I use, I realize how effective this cleanser is and above all, how much it keeps its promises! I cannot honestly tell you about the rejuvenating effect since I haven't had any anti-aging concern when I used this product. Though I am quite curious to try it again for at least six months to test the rejuvenating promise. So there should be a follow-up for this product! This product combined to the one I will be talking about next, I am currently using them. So this cleanser is a part of my current skincare regiment. Let me give you some history about this. I ran out of my Caudalie Instant Foaming Cleanser and I needed any good foaming cleanser on the spot. I was shopping and considered checking out the Kiehl's shop. I have heard good reviews about so many Kiehl's products, so I was quite confident and ready to trust this brand. 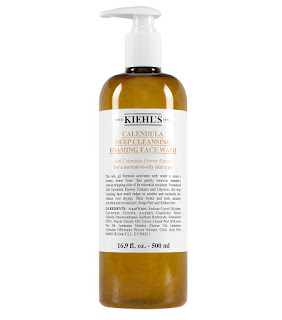 My intention was to buy a product similar to Caudalie's so I described what kind of product I was looking for to the employee at the Kiehl's shop. He recommend this cleanser and the description of the product, even the name, everything was convincing. When I got home, the first thing I did was to try it out. I was disappointed by the texture. I am being honest here. I was expecting a real foam like Caudalie's. I was really close to return it. But it was very efficient. It deep cleansed my face like it promised. 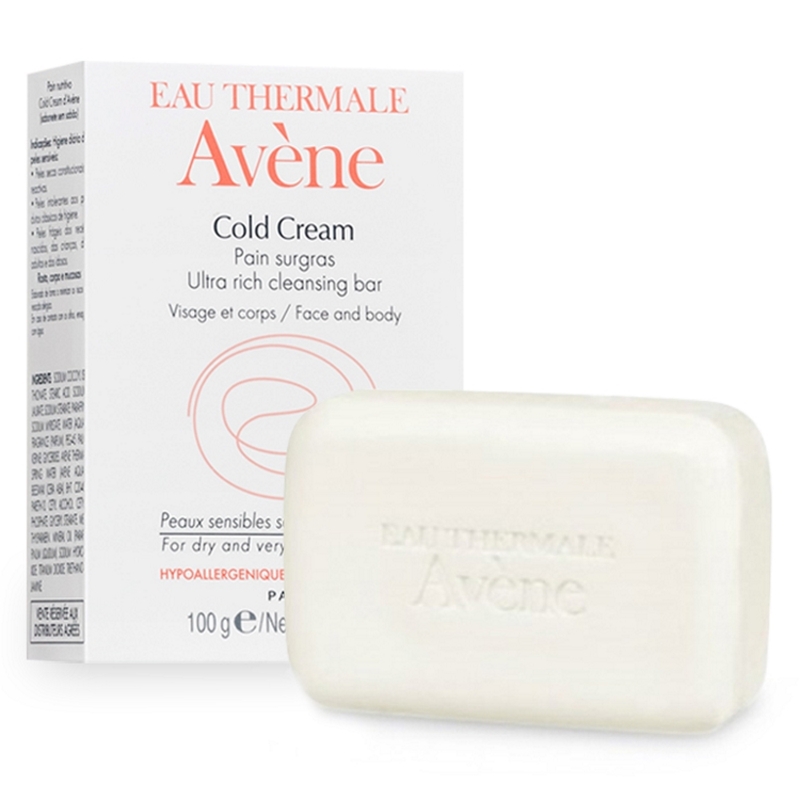 It left my skin smooth and fresh without that loath-able drying effect. So, the texture is gel-like when you pump it out and when you start massaging it to your wet skin, it foams reasonably. It is clearly not a foam you pump out but a foaming face wash literally. I love this product for its ingredients and efficiency even though it started with a compromise! Hopefully some day they will make the same product but as a real foam. One can dream haha! 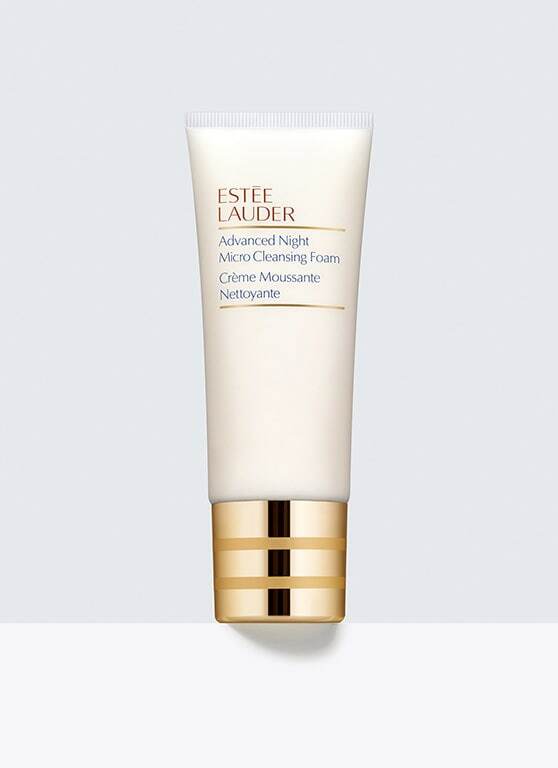 Last but not least is this great cleanser by the trustworthy Estee Lauder Advanced Night skincare line. I still dream about THE serum and it is on my wishlist, most probably my next skincare purchase (since I have been ready to buy it for such a long long very long time!). I have been gifted the mini-size version and I did not want to start using it because I did not want to finish it. This is the kind of product I know for sure I will go through and scoop the last milligram off the tube. The texture is cream-like, quite similar to Algenist's mentioned above. It is definitely a "nourishing cleanser" (if that is even "a thing"). It leaves my skin plumped, smooth and very fresh. The smell and the experience of the application are very pleasant. It does its job, it purifies and cleans the skin. It is for sure a product I will buy as soon as I will be approaching the end of the tube. I can only wonder how wonderful this product must be used along the rest of the products of its skincare line. Share book reviews and ratings with Ama, and even join a book club on Goodreads. Your Amazing face - All rights reserved. Simple theme. Powered by Blogger.